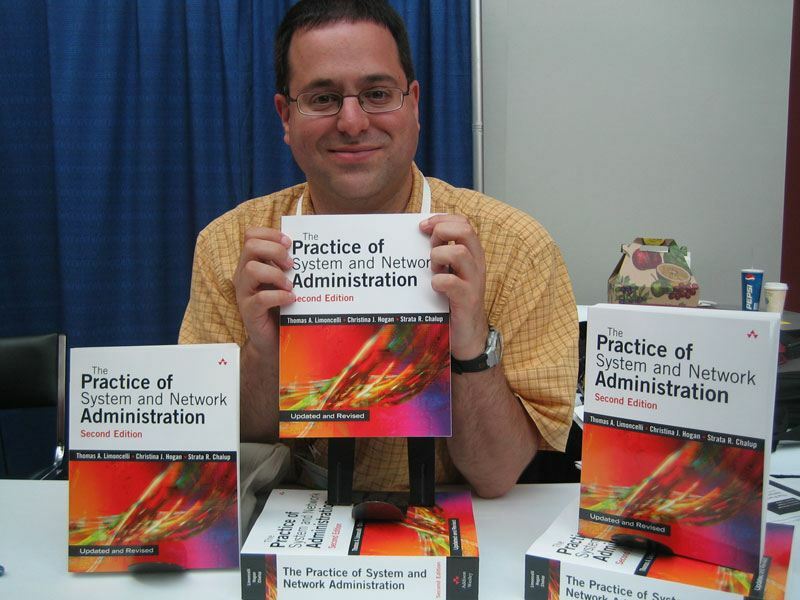 Thomas A. Limoncelli, Author at Everything Sysadmin.com recommends PRO IT Service S.R.L. I was looking for someone to move my Movable Type installation to a new hosting service and upgrade it to the latest MT release at the same time. Even though I'm a professional system administrator, I had decided to pay someone else to do this work for me. Scratch that... it's really *because* I'm a professional system administrator I'm so busy I had to find someone else to do this if it was every going to get done. Doing this had been on my "todo list" for more than a year. If I went an entire year without finding a free weekend to do this work, it must be time to pay someone else to do it. I wrote up a long list of exactly what I wanted done. I did it as a bullet list so that he could use it as a checklist as the work was done, and I could use it as a checklist to verify that all the work was done right. You can see the list here: http://docs.google.com/Doc?id=dhcf3bgs_43gs9d8hdt It is quite long and specific. After the work was complete there were some follow up issues. "Captchas" weren't working properly (he fixed it quickly), plus I had some questions about how to do certain things like post a message to a tag without it appearing on the main page. Mihai answered my questions within 24 hours. In the future I would have documented a series of "use cases" that describe things I'd want to be able to do with the site. What I liked is that Mihai has done this kind of upgrade so many times that he doesn't hit all the speedbumps that I would have hit. When I did throw some tasks at him that he hadn't doen before, he figured out how to do them. Since it was a fixed price contract, I wasn't paying him to learn new things. The entire project took longer than I expected, mostly because Mihai had other high priority contracts at the same time. I didn't mind since I wasn't in a rush (and had told him so at the beginning of the project). Initially I had him move the site to a different hosting provider, one that I had been accustomed to. However, the provider didn't handle certain things well and performance wasn't very good. Mihai had originally suggested this might be a problem and recommended I host the site with Peer, which he had more confidence. Alas, I didn't listen to him. When I finally gave up on that other provider it I had to pay Mihai a second time to move it to Peer. In hindsight, it would have been less expensive to just follow his original recommendation. I've been happy with Peer ever since. Since I am a sysadmin by trade, I could have done this kind of work myself but I'm glad I paid PRO-IT to do it. I would have had to do the work on spare nights and weekends, neither of which are very abundant for me. By having him do the work I was able to spend those weekends doing more enjoyable things. It was like multiplying myself! I'm happy with PRO IT and plan on using them for future projects.